On July 20, 2017, the lead singer of Linkin Park, Chester Bennington, tragically took his own life to the shock and surprise of the world. One of his closest friends and fellow bandmate, Mike Shinoda, confirmed the heartbreaking news on Twitter, writing: ‘Shocked and heartbroken, but it’s true. An official statement will come out as soon as we have one’. Now, three months after the terrible news, Linkin Park have played their first gig since, performing the aptly-titled Looking For An Answer, which I can only assume means one helluva lot to the rest of the band in these dark months following Chester’s death, according to TMZ. 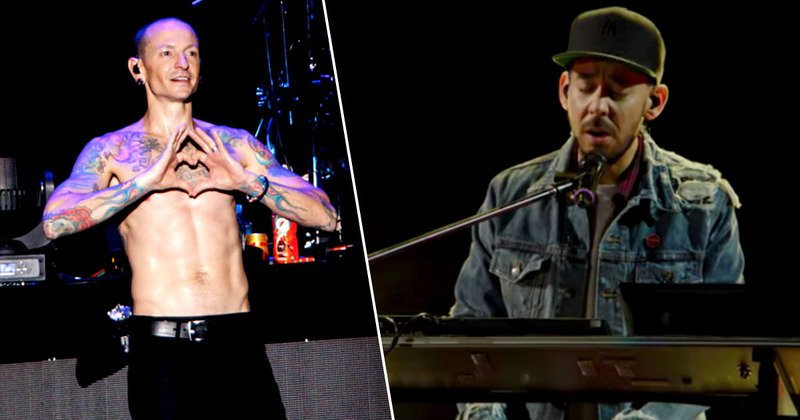 Shinoda sang the song live at the Hollywood Bowl, California, in front of more than 18,000 fans as part of Linkin Park; Friends Celebrate Life in Honor of Chester Bennington in Los Angeles. Linkin Park themselves were joined by artists including Blink-182, Jonathan Davis from Korn, and members of Avenged Sevenfold, Bring Me the Horizon, No Doubt and System of a Down. As well as getting a lot of vocal support from the crowd. Amazingly, all performers donated their fees to Music for Relief’s One More Light fund. A charity which was set up in the wake of Chester’s death and aims to honor his spirit by helping others in times of need. Brilliantly, however, during the three-hour show, the band also did their best to show the funny and lighter side of Chester Bennington, playing a clip of him singing along to Unicorns and Lollipops, to the 18,000 fans in the crowd, according to Variety. As you can imagine everybody sang along to the viral clip, leading Mike to say: ‘Did you really just sing along to a You Tube clip? If that’s the case you don’t even need us here tonight’. But of course the moment everybody was waiting for was Looking For An Answer and it was truly beautiful. If you would like to donate to the charity, you can do so here. If you’ve been affected by any of the issues in this article, please don’t suffer in silence. Call Samaritans on their free 24-hour hotline on 116 123.